In 1988, despite powerful Congressional opposition, U.S. Attorney Rudy Giuliani brought a massive civil racketeering (RICO) suit against the leaders of the behemoth International Brotherhood of Teamsters (IBT) and more than two dozen Cosa Nostra (LCN) leaders. Intending to land a fatal blow to the mafia, Giuliani asserted that the union and organized-crime defendants had formed a devil’s pact. He charged the IBT leaders with allowing their organized-crime cronies to use the union as a profit center in exchange for the mobsters’ political support and a share of the spoils of corruption. On the eve of what would have been one of the most explosive trials in organized-crime and labor history, the Department of Justice and the Teamsters settled. 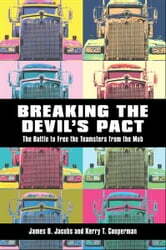 Breaking the Devil’s Pact traces the fascinating history of U.S. v. IBT, beginning with Giuliani’s controversial lawsuit and continuing with in-depth analysis of the ups and downs of an unprecedented remedial effort involving the Department of Justice, the federal courts, the court-appointed officers (including former FBI and CIA director William Webster and former U.S. attorney general Benjamin Civiletti), and the IBT itself. Now more than 22 years old and spanning over 5 election cycles, U.S. v. IBT is the most important labor case in the last half century, one of the most significant organized crime cases of all time, and one of the most ambitious judicial organizational reform efforts in U.S. history. 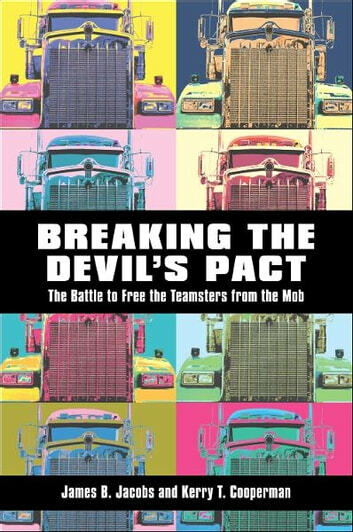 Breaking the Devil’s Pact is a penetrating examination of the potential and limits of court-supervised organizational reform in the context of systemic corruption and racketeering.